Registration for Summer 2019 Birthright ends March 18th! Looking for a summer internship? Hillel International is hiring! Join the thousands of motivated, talented, and ambitious college students who come to Washington, DC and infuse the city with their desire to foster positive change in the world! Hillel is seeking exceptional college students for multiple internships at Hillel International’s headquarters office in Washington, DC. Click here to learn more! 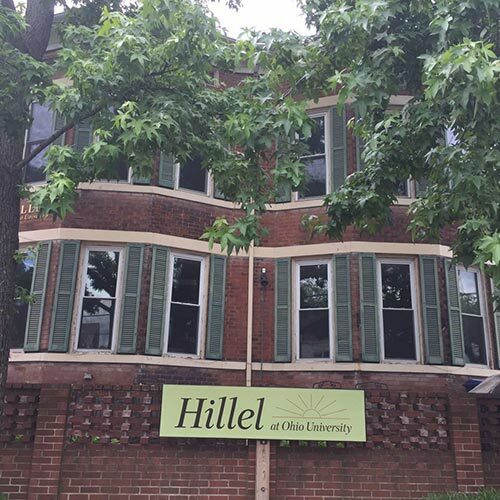 Hillel serves the OU campus and Athens community in areas of Jewish culture, education, history, social service, Israel advocacy, and communal experiences. Located along the Hocking River, the city of Athens was first established in 1797. It soon became home to Ohio University in 1804 with Athens County being established in 1805. OHIO's beautiful campus includes a welcoming academic community where students are offered more than 250 undergraduate majors and 500 student groups.